You’re not going to thought I had completely abandoned my sewing machine for pajama parties, right? Dressing for the night is good, but dressing for the day is even better: it stirs a bit more my neurons and sewing spools. And I am still keen in recycling, I was looking for a good basis, a beautiful piece that I would upcycle and wear regularly. Because I’ll tell you one thing: I admire the extravagant ideas, but I prefer to dress without looking like an artist. Blend myself into the crowd but keep some chic details for a closer look. 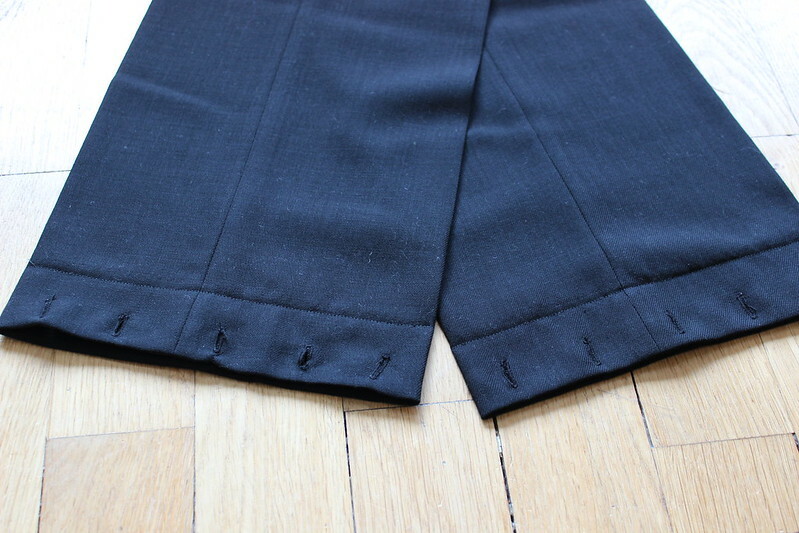 My starting point was a pair of summer wool pants, straight fit, with quality finishes. 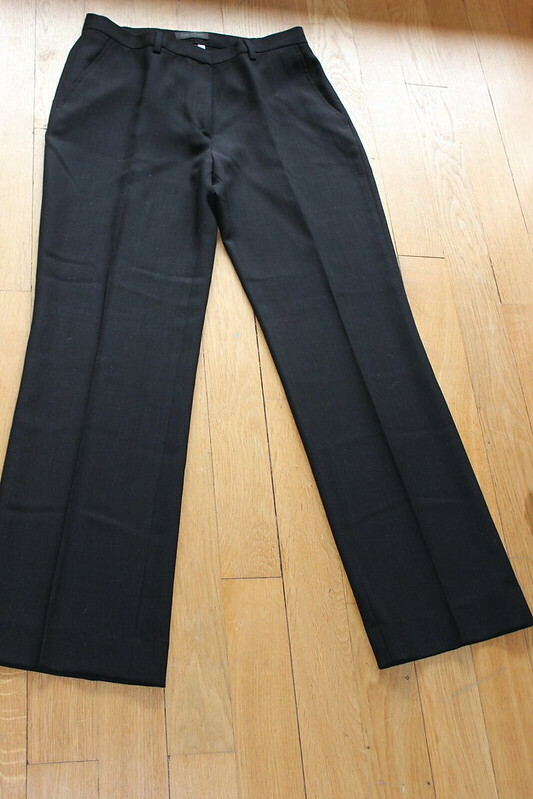 Classic trousers, a little too classic for my taste. I wanted to make them more summery. 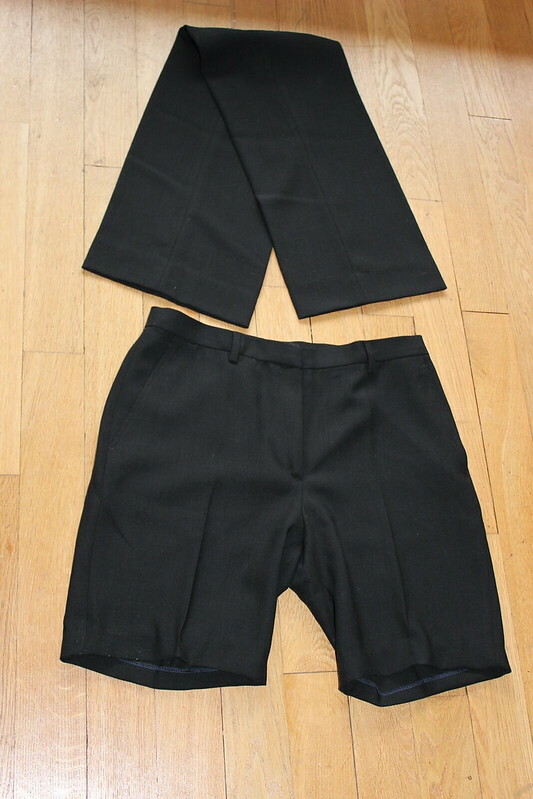 I cut the trousers above the knee and I transformed the trimmings into a top – crop – collar for the front. 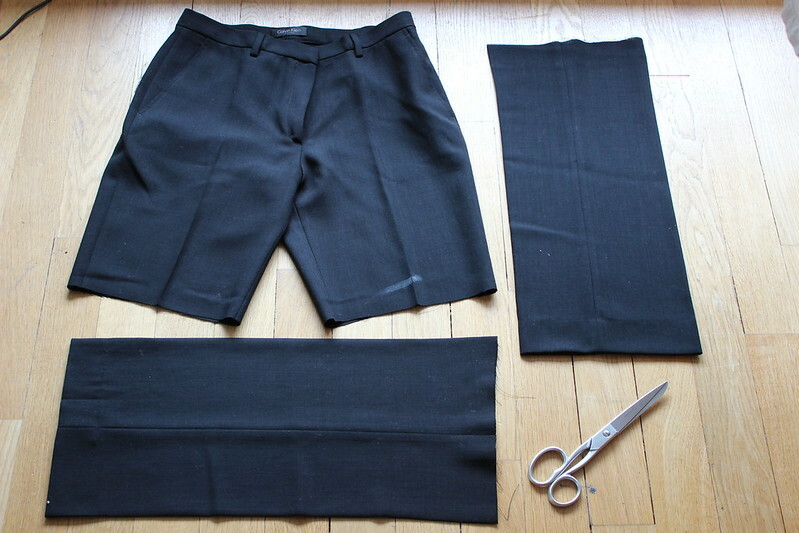 I sewed the two sides together to form a tube which I then folded in half. 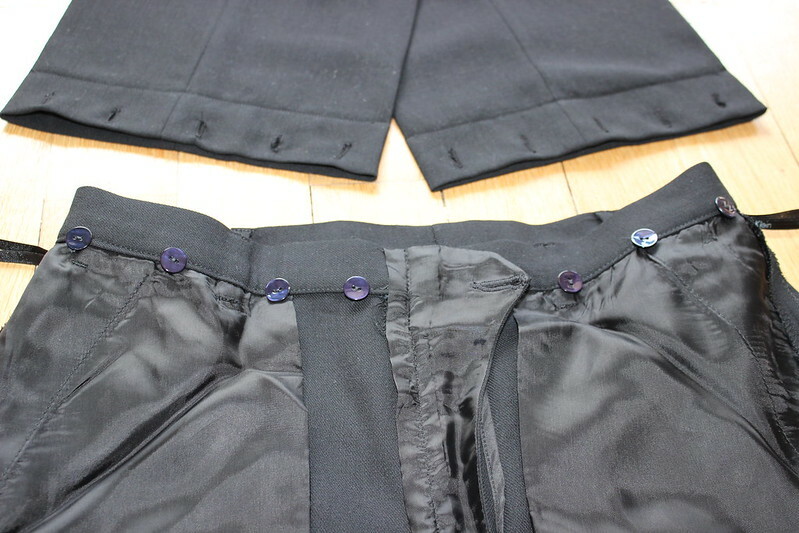 To attach / detach it easily, I created buttonholes on both sides. So I can wear the new pants in artist or plain version. 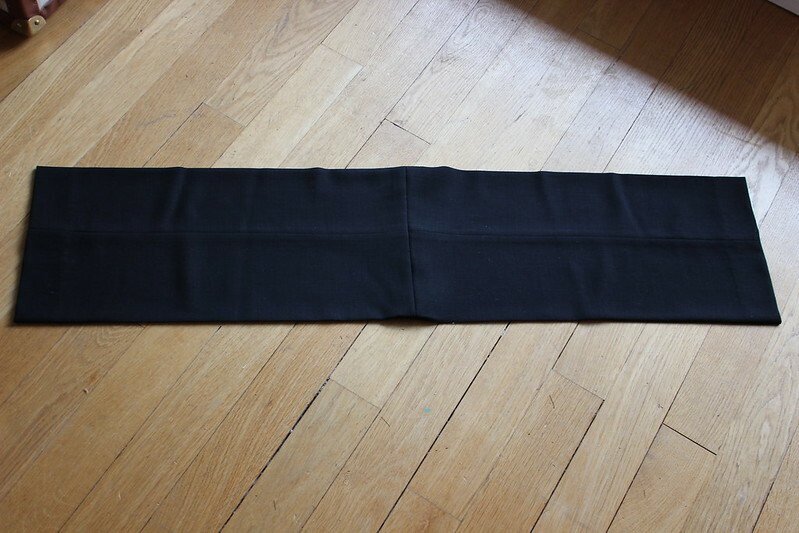 For the photos, I decided to spend a thin belt twice around the neck to form a rigid collar that supports the weight of the top. I intend to also wear it with a real necklace or a scarf. Looking forward for automn refashions, I hope you enjoy this sunny week of September and wear your summer outfits. Artist or discreet ones. 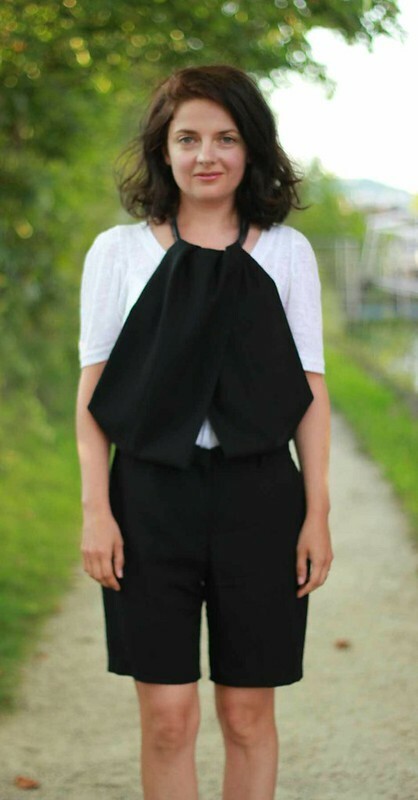 This entry was posted in Re-fashion and tagged pants, refashion, upcycling. 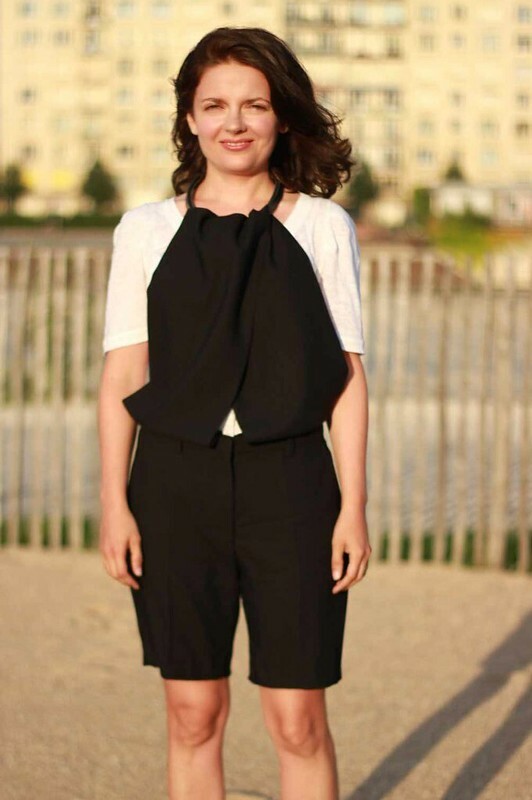 Un autre magnifique refashion! Brillant! 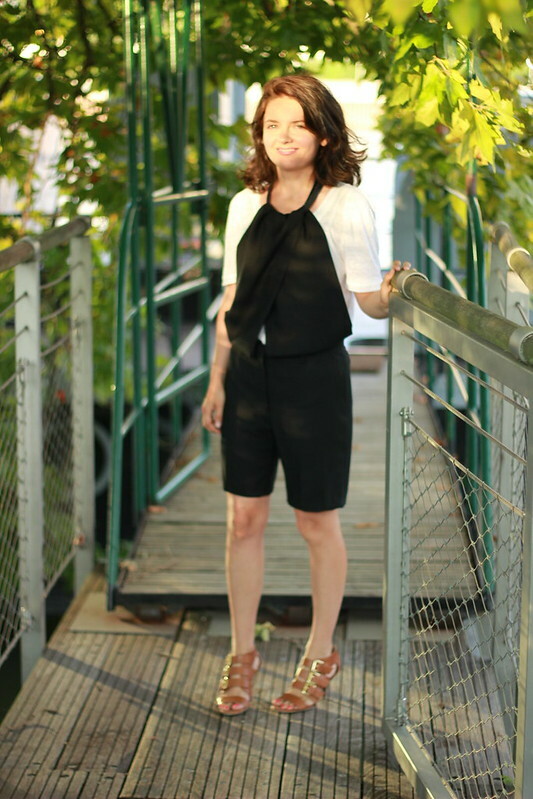 Thank you Sheri, your blog is also full of refashion ideas! I love that your imagination and your skill worked so well together to make this really cool outfit. I hope you have a few more warm days ahead of you so you can wear it before it gets too cold. Wow, what a creative solution! Love it! This is one of the best refash I have seen! It is sooo beautiful. This is so amazing! I can’t wait to try this! 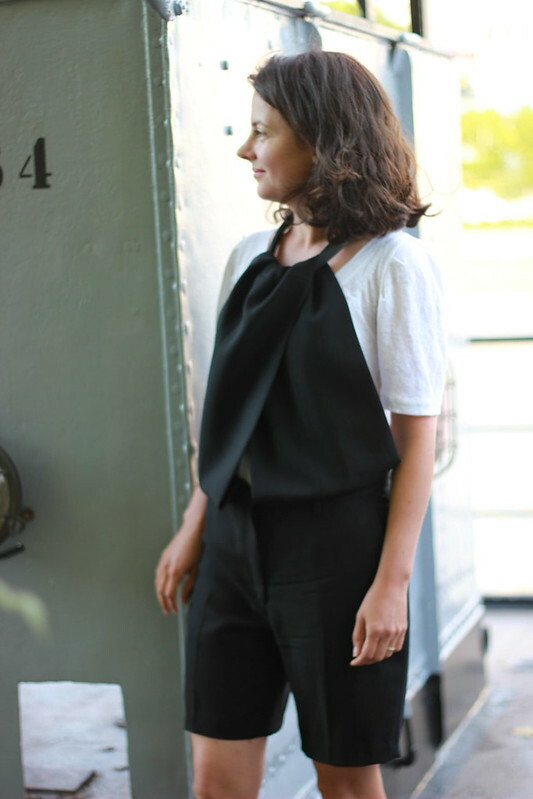 Brilliant take on a jumpsuit and definitely so chic!